First paperback printing. Near fine (light wear) in wraps. 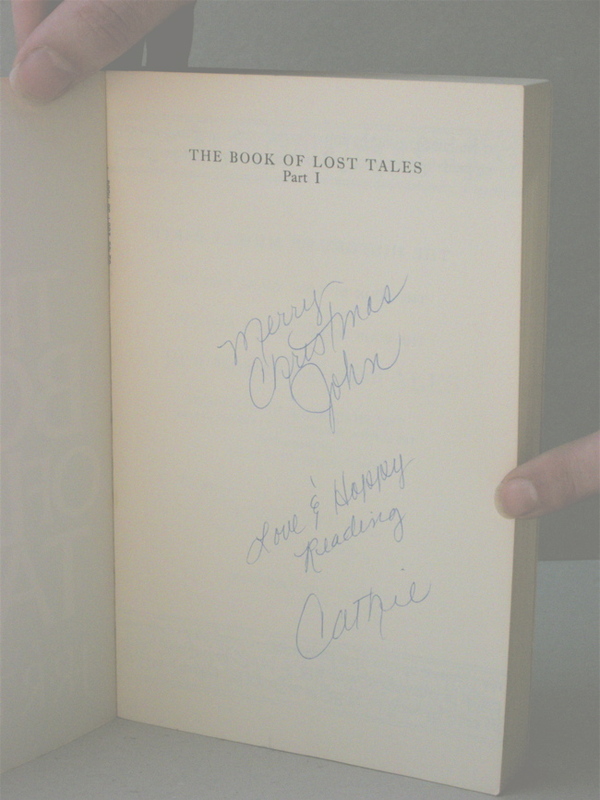 Gift inscription from Cathie to John on the half title page. 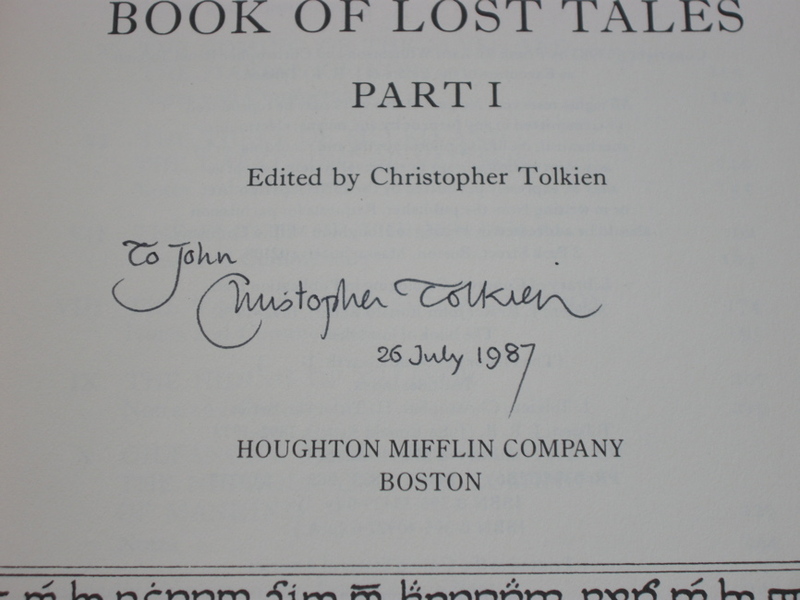 Beautifully SIGNED by Christopher Tolkien on the title page: To John, Christopher Tolkien, 26 July 1987. This copy is of the 1st printing of the 1st US Paperback published in 1986 by Houghton Mifflin. 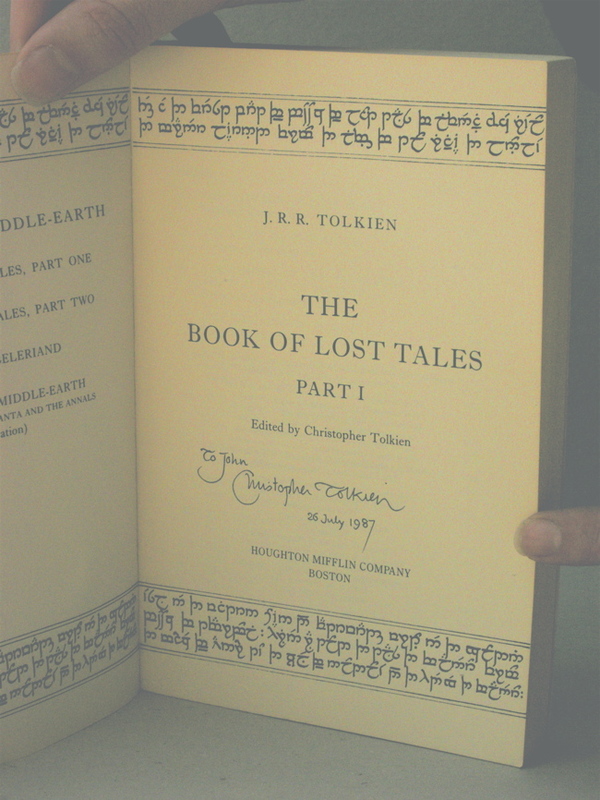 This particular copy was signed & dated by Christopher Tolkien at the July 26, 1987 Mythopoeic Conference held at Marquette University in Milwaukee, WI. The book has been dedicated to John, and alsa has a Christmas gift inscription from Cathy (who had the book signed for John). 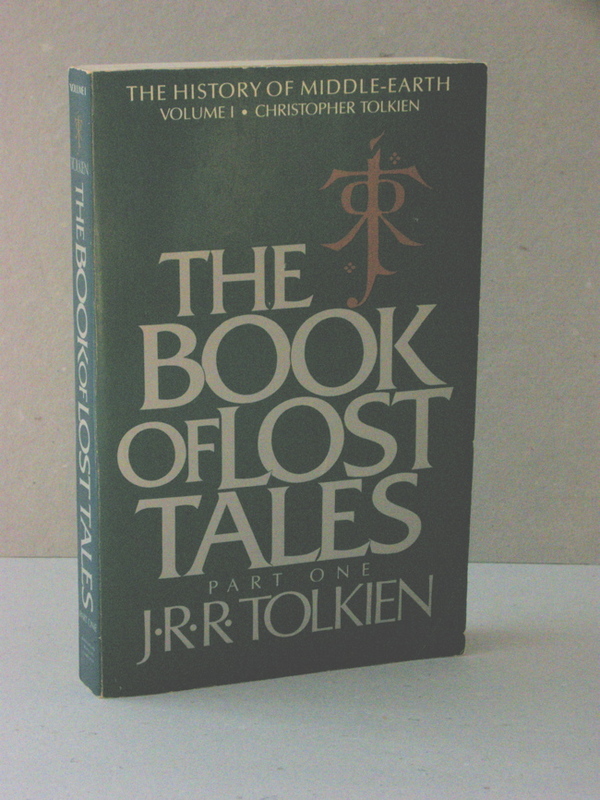 The book only shows some light wear, with no other writing or marks, besides the inscription by Christopher Tolkien and a person calls Cathy. A wonderful copy of J.R.R. 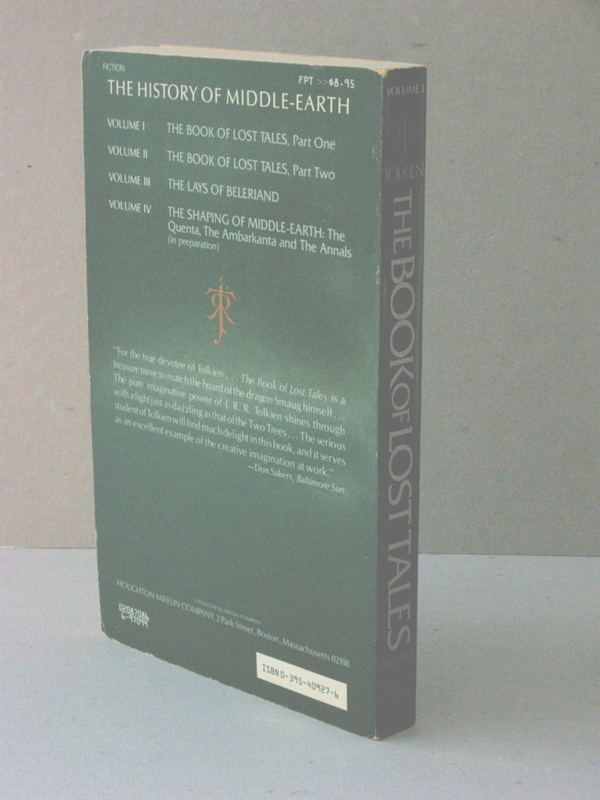 Tolkien's lifetime work containing the first volume of the History of Middle-earth, Edited and signed by his son, Christopher Tolkien. An extraordinary copy, with a very scarce signature.